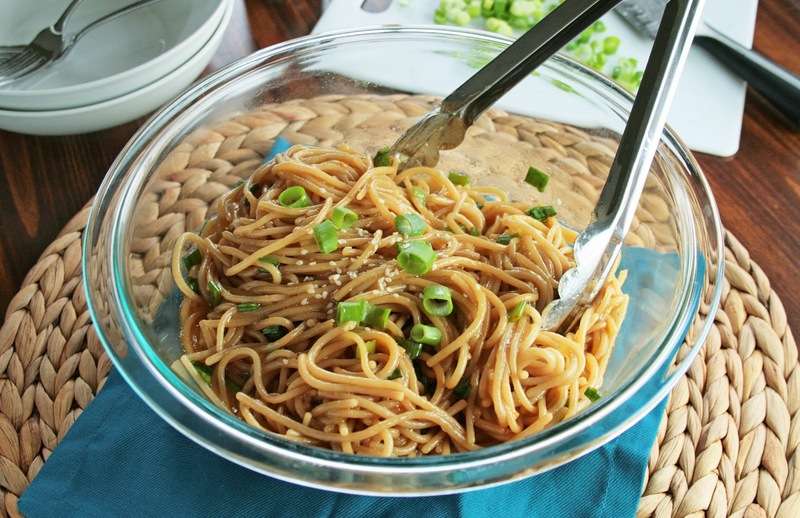 These sesame noodles are one of the easiest and most delicious recipes I have ever made. No joke, I've made them two weeks in a row because I'm totally addicted. You're going to love how quick this recipe comes together, and you'll love even more how you can't tell it's gluten free. The first time I made this, my husband and I literally finished off all of it for dinner. Which was actually kind of disappointing since having leftovers for lunch at work the next day would have been nice. 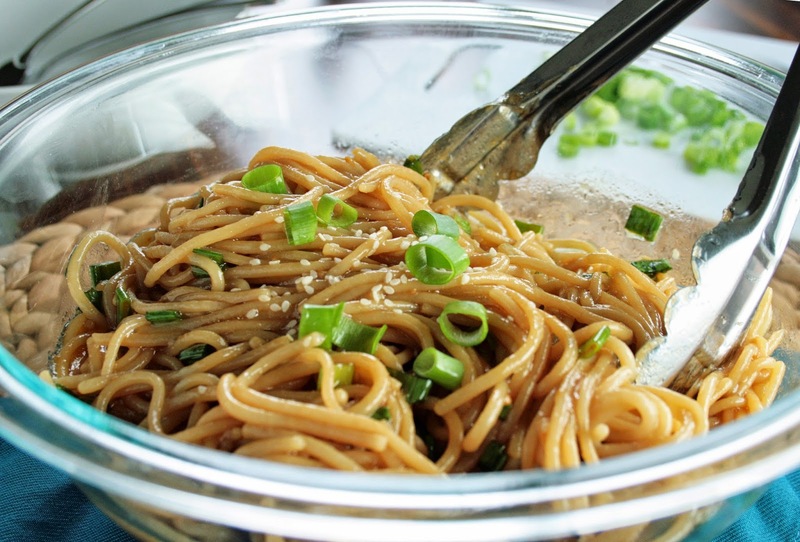 Within just a couple days I got a craving to make the sesame noodles again. I managed to hold out for a few more days before I had to give in. This time I had some semblance of self-control and saved some noodles for my lunch the next day. 1) Prepare pasta according to package directions. 2) Meanwhile, in a large bowl, combine remaining ingredients. Whisk until well combined. 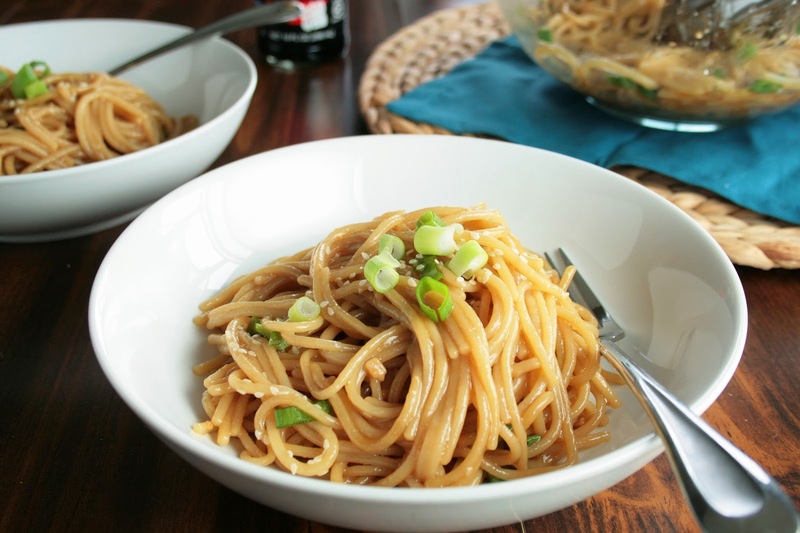 Note that the sauce may separate, so just make sure it's combined prior to adding noodles. 3) Once pasta is cooked through, drain and add to sauce mixture in bowl. 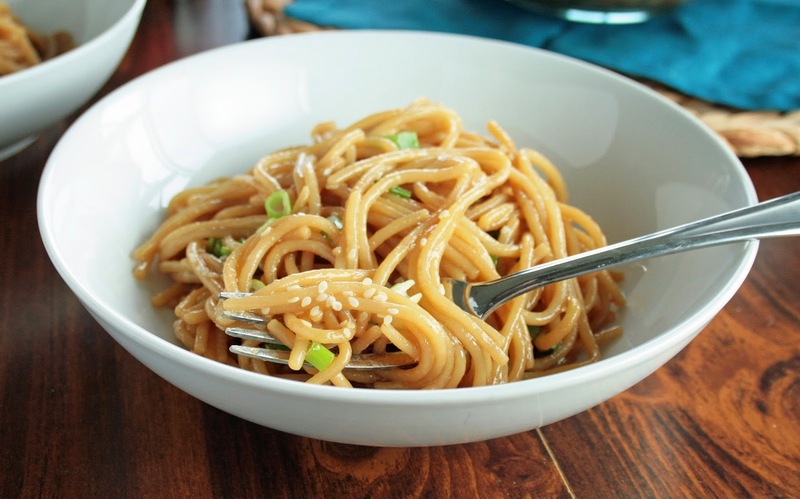 Toss noodles to coat evenly.